A very warm welcome to the Parish of Mickleham, where the two villages of Mickleham and Westhumble are situated in the Surrey Hills, privileged to be in this part of the county designated as an area of outstanding natural beauty. We belong to the United Benefice of Leatherhead and Mickleham in the Guildford Diocese, within the wider Church of England. Each of our two parishes is about one thousand years old but in 2001 we joined together in an ecclesiastical partnership, sharing resources and opportunities to grow together in our shared ministries and mission. 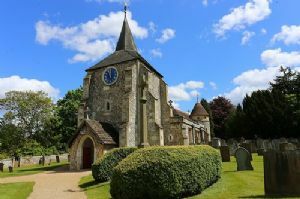 At the heart of the Mickleham community, in both a geographical and a spiritual sense, is St. Michael's Church, an attractive grade II* listed Norman building which is beautifully preserved, having undergone major renovation works in recent years. 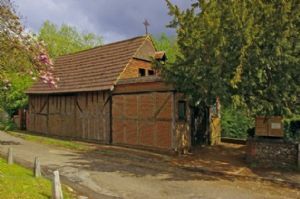 Westhumble is mainly a residential and clustered community, and situated close to the local railway station is the lovely Chapel of Ease which in March 2019 will undergo substantial redevelopment. Our local St. Michael’s C of E (A) Infant School enjoy monthly assemblies and special services in church, and regular assemblies in the school are led by Canon John. Please click here for the school website. We also have twice termly services, and regular Boarders’ services, in church as staff and students from Box Hill School join us. Box Hill is an independent coeducational boarding and day school, please click here for the school website. We would love you to visit us to find out more about how we have found fulfilment and delight in serving God, through the practical, caring outworking of our shared faith in Jesus Christ. Do join us, you are assured of a very warm welcome!